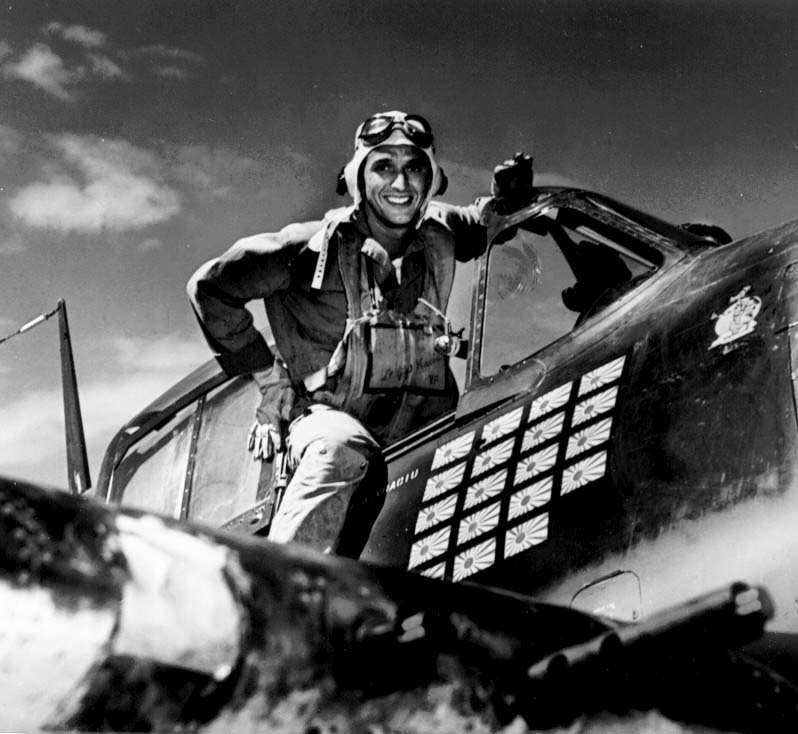 Alex Vraciu, a World War Two US Navy ace fighter pilot, has died at the age of 96. Alex joined the Air Force’s Fighting Squadron Six in 1943 as wingman for Lieutenant Commander Butch O’Hare. Originally from Chicago, Alex was born in 1918 to Romanian immigrant parents. He graduated from college and had already earned a pilot license when he enlisted to join the Navy’s flight training program, only a few months before the attack on Pearl Harbor brought the US into World War Two. At just 25 he was on his way to being the Navy’s top World War Two fighter pilot, downing nineteen Japanese aircraft and destroying twenty-one more aircraft on the ground. In June 1944, Alex was transferred to the Pacific to fight the Japanese Imperial Navy. American warships were under attack from Japanese aircraft and Alex was sent out to defend US naval vessels and down as many Japanese aircraft as possible. Even though Alex’s plane suffered a malfunction and oil spewed across his windshield, he still managed to down six Japanese aircraft in just eight minutes. In an interview before he died, Alex said that he could see nothing but Japanese aircraft around him, and the sea below was full of flames and oil from burning vessels and downed aircraft. As Alex scored his sixth Japanese aircraft of the day, it exploded right in front of his aircraft, forcing him to pull up sharply to avoid the debris. The very next day Alex downed his 19th aircraft. Alex said that he felt he had done his part in avenging the Japanese attack on Pearl Harbor. Both US aircraft carriers from which Alex flew were torpedoed during the war; both times he was able to parachute away after having dumped his aircraft, a Grumman F6F Hellcat. When Alex returned home in August 1944 he was welcomed with a homecoming parade and thousands of supporters. Soon he met his wife and they married that very year. But not long after having returned home, Alex went back into the front line in the Pacific. He was shot down and parachuted to a landing in the Philippines, The New York Times reports. Once World War Two had ended Alex continued as a Navy pilot and fighter squadron commander, until he retired in 1964. Alex received the Navy Cross, the Navy’s second highest honour, and was nominated for the Medal of Honor. Alex’s son said that Alex had relished getting out to the front and doing what he could for the war effort and his country.